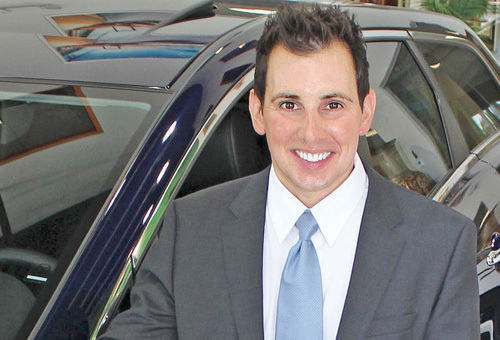 POSITION: CEO, Metro Motor Group/Grieco Automotive Group, Delray Beach, Fla.
At 26, Mike Grieco Jr. was put in charge of a small auto dealership group and over the next 13 years, he helped build a multistore, multistate empire. Now 39, Grieco is CEO of Metro Motor Group in New England and Grieco Automotive Group in Florida, family-owned groups that together include 14 franchises at 11 dealerships in Rhode Island, Massachusetts and Florida. The oldest of three sons -- all of whom work in the business his father started in 1996 -- Grieco says the foundation of each dealership is customer satisfaction. "You have to take care of the customers," Grieco said. "It's not a hard business. You just have good employees who are dedicated to keeping customers satisfied and happy, and they'll keep coming back and you'll have a successful business." Grieco began his career selling Hondas at Metro Honda in Johnston, R.I., in the store his father bought with an experienced minority partner, who schooled the younger Grieco in the car business. He soon moved up to sales manager, then was a used-car manager and "dabbled in service and parts" as his father bought other dealerships in the area and in Florida. In 2000, Grieco became COO of the growing groups of dealerships and last year replaced his father as CEO. Grieco said he doesn't understand dealers who spend hundreds of dollars to get customers into showrooms only to lose them later over a few dollars in good will. "The core of the business hasn't really changed. You sell a car to the customer, and that's where the business begins. You have to keep them coming to the business," he said. "No one really makes a bad car now." Though he said it gets tougher to stay involved in details as the business gets bigger, Grieco says one way he does so is to keep his name in the advertising of each of his family's dealerships. He said: "We have a common tag line: I'm Mike Grieco. We'll save you thousands. We guarantee it."